The best kids activities in Essex have been revealed. Family activity site Hoop has today uncovered the definitive list of kids’ fun as voted by over 22,000 parents up and down the country who chose their favourite events from family activity providers across the city. 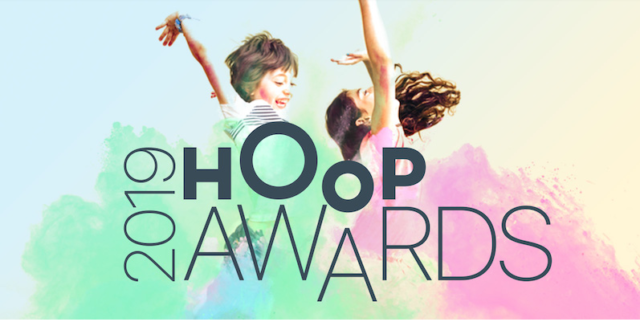 The Hoop Awards celebrate the people and organisations that go above and beyond to entertain, educate and inspire children across Essex and help families identify the best of what Essex has to offer kids of all ages. From Best for Babies to Best for Toddlers, Getting Active with your kids to Best for Learning, the annual awards compiled by Hoop crown 13 winners in the Essex region. There’s something for every parent, with the Best Free Kids Class too. (see table one for full list of winners). Baby signing classes by TinyTalk, Colchester and Tendring wins Best for Babies, teaching you how to communicate with your baby before they can talk. babyballet, Romford Central takes home two awards, for Best for Toddlers with its pre school dance classes for boys and girls between 6 months and 6 years and the award for Best for Music, Dance and Drama. If you’re looking for the Best Kids classes for Getting Active then head to Gymfinity Kids, Colchester for gymnastics and ninja classes that help children build confidence and strengthen their co-ordination and balance. Parents who are looking for fun ways for their kids to learn should look no further than Best for Learning winners Sounds Right Phonics Classes for Kids, Woodford & Loughton, which offers energetic educational classes for pre-school children. The Baby & Children’s market, which offers a clothes sale for clothes between 0-8 ages takes home the prize for Best for Free Activities and Family Action wins both the award for Best for Local Family Service and Creative Fun. They are a charity that offers sessions for families with children aged 0-5 years, which include health clinics, cooking support and stay and play. For parents looking for the Best Holiday Workshops, Colchester Museums offers three local venues for kiddie fun, all with unique workshops to get involved in. And last but not least, The Essex Wildlife Trust wins the award for Best for Outdoor Fun. They host nature and outdoor play events for children of various ages. Next articleHit indie band The Family Dog are heading to Chelmsford!